Shirley Mary Lee Hill Womack passed away on October 16, 2018 at the age of 82 in Albany, Oregon. She passed peacefully in the morning surrounded by family. Shirley was born in Philadelphia, Pennsylvania on August,18, 1936 to Vivian Williams and Erskine Hill and was the oldest of their nine children. Shirley married Frederick Hannibal Womack on July 7, 1951 and they had seven children. Shirley worked for 45 years at Thomas Jefferson Hospital in Philadelphia, Pennsylvania and began her employment at Jefferson as a laboratory assistant and retired as a manager. She felt fortunate to have family members also working at Jefferson. Shirley spent many years doing what she loved by caring for her grand and great grandchildren. She was a Christian and brought many of her children and other family members to Christ by the way she lived her life. She enjoyed teaching Sunday school classes to the younger children. 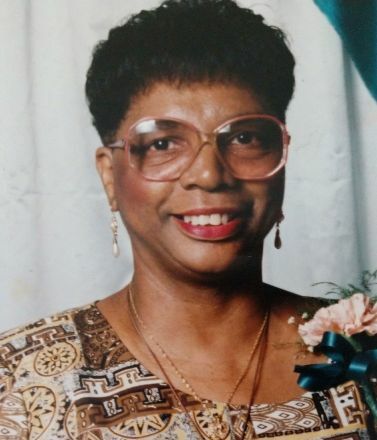 Shirley had many friends and loved traveling, going on cruises, spending time at the beach, playing cards with her family and attending sporting events. Shirley leaves behind to cherish her memory, sisters Cleola Deputy and Elizabeth Black; her seven children Frederick Womack Jr.(Mialee), Paula Mitchell(Kenneth), Geneva Yeargins(Curtis), Anthony Womack(Barbara), Linda Womack, Michael Womack(Patricia), and Beatrice Scoggins(Quentin): 17 grandchildren and 18 greatgrandchildren. She will be laid to rest with her husband Frederick at Chelten Hills Cemetery. dearly loved and supported until her passing. for 15 years and have shown us the love of the Lord throughout our time here. You have extended more love and support than we could imagine.